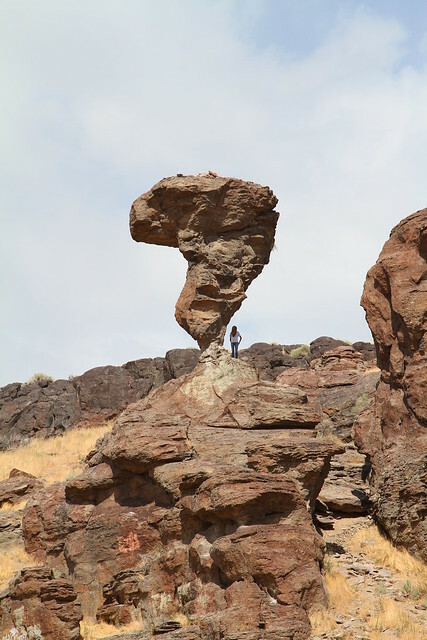 This precariously balanced rock South of Buhl City in the Salmon Falls Creek Canyon, Idaho, USA is truly amazing. 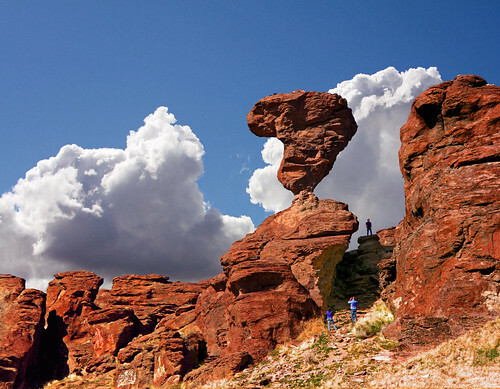 The wind-carved rock which is over 14.6 metres (48 feet) tall, 12.2 metres (40 feet) wide and weighs about 36 Tonnes (40 tons), balances delicately but firmly on a very small rocky pedestal, which is only 0.9x0.45 metres (3x1.5 feet). Image from Flickr is by Nicholas D.